Ivanore the Seer lives under lock and key in the castle of Auseret, a reluctant captor of her brother, Arik, now the Minister of Hestoria. Unwilling to use her powers to assist him in locating the crystal or the missing Guardians, Arik schemes to trick her into leading him right to the enemy's lair. Meanwhile, the Guardians live peaceably with Jayson on a sprawling farm outside of the Vatéz's realm. But Jayson is not the man he once was. 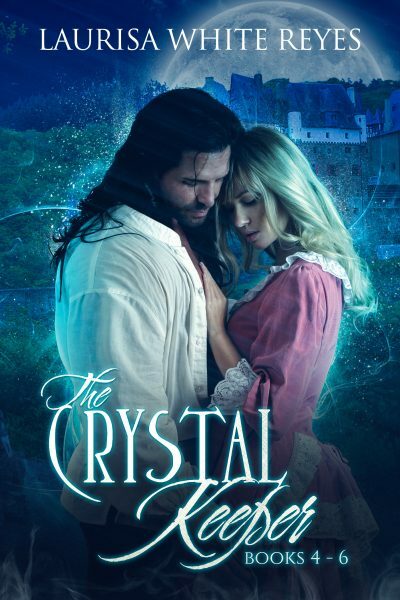 The Crystal Keeper series returns! Broken and beaten down by years of separation from his beloved Ivanore, Jayson must find the will to keep the Guardians safe in an increasingly violent land. When the unthinkable happens, both Ivanore and Jayson battle their own demons to protect the crystal from falling into Arik's hands—and to keep all of Hestoria safe from the Vatéz.